Senator Ben Allen represents the Westside and South Bay communities of Los Angeles. He chairs the Senate Education Committee and serves on the Committees on Natural Resources and Water, Transportation and Housing, and Elections and Constitutional Amendments. His policy priorities include education, the environment, jobs and the economy, transportation, and political reform. Prior to this election to the Senate in 2014, he was a board member of the Santa Monica-Malibu Unified School District. Ben received the Freshman Legislator of the Year award from the California School Boards Association, and was named Legislator of the Year by the County Superintendents’ Educational Services Association, the Alzheimer’s Association and Technet, an association of technology companies that includes Apple, Google and Microsoft. Ridley-Thomas was first elected in December 2013 at age 26 and was enthusiastically re-elected in 2014, and 2016 to represent California’s 54th Assembly District which includes the Los Angeles County communities of Leimert Park, Jefferson Park, Arlington Heights, Lafayette Square, Wellington Square, Village Green, Baldwin Hills, Baldwin Village, Baldwin Vista, Mid-City, Country Club Park, Windsor Hills, Ladera Heights, View Park, Century City, Cheviot Hills, Culver City, Westwood, Mar Vista, Palms, and West Los Angeles. The Assemblymember serves on four Assembly Standing Committees. He is Chair of the Revenue & Taxation Committee and a member of the Health, Banking and Financing, and Local Government Committees. He previously served on the Appropriations, Elections, Public Safety, Labor, Rules, and Water Committees. Chris's background in information security began in a leadership rotational program at a Fortune 200 company in 2006. He left to serve six years in the United States Marine Corps (USMC) where he was the country Chief Information Security Officer (CISO) for the Republic of Georgia, a role in which he built and maintained the USMC network architecture in the country. Chris successfully protected what he built from cyber attack in a highly vulnerable cyber threat environment. Upon returning to the United States, Chris left the Marine Corps to attain a Masters in Computer Science (MSCS) and Masters of Business Administration (MBA) from UCLA. In that same time period, he worked for the MITRE Corporation as a cybersecurity engineer, a role in which he identified more than 1,000 vulnerabilities and recommended fixes in national security software. In 2014, after a decade of doing cybersecurity for the military and federal government, Chris developed a proprietary framework for securing small businesses and founded Ariento, a managed cybersecurity and IT service provider to small organizations, start ups and sole proprietors. He is a member of the Secure The Village Leadership Council and currently holds 10+ certifications, including Certified Information Systems Security Professional (CISSP), Certified Information Security Manager (CISM), and Certified Security Compliance Specialist (CSCS). Supervisory Special Agent (SSA) Michael Sohn is currently leading a squad at the FBI Los Angeles Field Division that is responsible for investigating computer and high-technology crimes involving national security matters. His investigative experience includes cyber terrorism, state-sponsored and criminal cyber intrusion matters. Prior to his employment with the FBI, he worked as a Cyber Counterintelligence Officer for the Department of the Army, a Counter Terrorism officer for the Defense Intelligence Agency, a consultant at Booz Allen Hamilton and a U.S. Army Officer. Mr. Sohn received a Bachelor of Science in Computer Science from the United States Military Academy, West Point and a Master of Science in Computer Information Systems from Boston University, Boston. Werner responds to CAMICO loss prevention hotline inquiries and speaks to CPA groups on various topics. Werner has Big Four public accounting experience in federal and state tax as well as regional accounting firm experience. 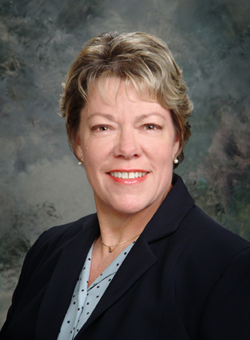 She has practiced as a sole practitioner in estate planning since 1984. Werner has been a member of the California State Bar since 1983 and is a member of the Taxation section as well as the Taxation Section's Procedure and Litigation Committee. She earned a Bachelor of Science in Commerce, majoring in finance with an emphasis in marketing, from the Santa Clara University School of Business. She also earned a Juris Doctor from the Santa Clara University School of Law in 1983, a Master of Laws in Taxation from Golden Gate University, and a Master of Science in Accounting from San Jose State University. Melvin joined NAS in 2002 and specializes in healthcare, cyber liability, employment practice, directors and officers coverage. Melvin currently supports NAS’ reinsurance programs working with over 75 program partners throughout the US. Melvin oversees the underwriting and product development of Cyber Liability, Billing Errors and Omissions, Employment Practices Liability, and Directors and Officers programs created to address the new exposures facing healthcare providers. She has been featured as a guest speaker at various industry conferences addressing the evolving professional liability risks in healthcare and served on the Steering Committee of the Southern California Chapter of the Professional Liability Underwriting Society (PLUS). NAS Insurance is a unique specialty insurance market with distinct capabilities in product development, underwriting, marketing, risk management and claims handling. NAS offers innovative insurance products and services for the ever-changing needs of corporations, professionals, non-profits and affinity groups.